Every year around New Years, I make my UFO list (UnFinished Objects … or Quilts). I try to keep track of all my quilt starts and when they are finished. Last year, I had 47 UFOs on Jan 1. This year I will have 38! I’m pleased that the number is down … although, much higher than I’d like it to be. Only 10 of the quilts just need quilting and binding. There is much discussion on the web as to what defines a UFO. I find it easiest to consider each quilt that is in progress on January 1 as an UFO. In 2016, I started 30 quilts! Wow! I find that hard to believe. And of those 30 quilts, I finished 22 of them! All of them have been gifted or will be in the near future. Here’s my plan to tackle my UFOs: Every Monday, I quilt with a lovely bunch of ladies. I have a personal “rule” that I only work on UFOs. I threw that rule out this year as my priorities changed and I was working on the quilts made with Grandma’s fabrics. However, January 2 is the beginning of a new year and I’ll go back to my own personal rule. I have prioritized which ones I want to work on. 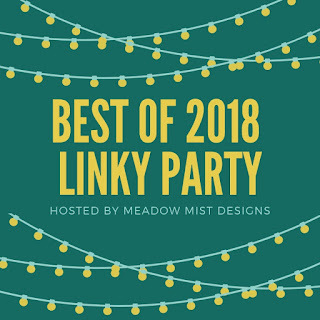 Then on Tuesday, I will start a Linky Party and you can join in the fun. I will be posting pictures of what I’ve worked on and you can do the same. If you have a blog – you enter the URL of the blog post and fill in all the rest of the blanks. If you don’t have a blog, you can use a flicker page or a Pinterest page that contains a photo of your work. 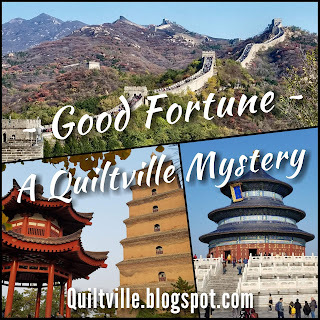 Well, I have caught up on my clues for Bonnie Hunter’s Mystery Quilt! Yeah!!! Yes, I’ve gotten all of the blocks for Part 1 to 5 completed! I’ve been doing the yearly mysteries since 2009 and this is the first time I’ve ever gotten caught up. Clue 6 came out this morning & i’ll get started on it later today! 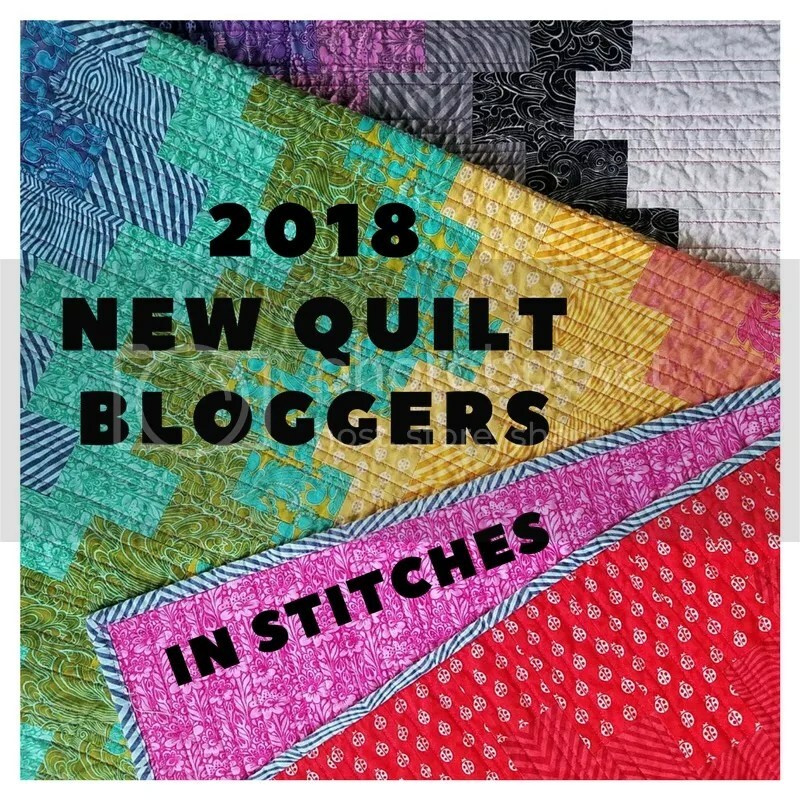 Happy Quilting and Happy New Year! With being away, Christmas decorating, cooking and both kids here, I’ve done very little sewing. However, I did manage to make a few blocks for Part 4 and Part 5 (on the right side of the cutting mat) of Bonnie Hunter’s En Provence mystery. Also shown are some of Part 1, 2 & 3 … none of the clues are completed! I had 2 different panels which I purchased in Pennsylvania in the spring. There was the one of the bird houses (top left) and one of the birds (bottom right). Each bird house or bird was an individual rectangle, and when sewn together, the tree in the background joined together nicely. The top right & bottom left window panes are an alternating mixture of birdhouses & birds. I like how: although they are similar, each of the 4 window panes are slightly different. Of course, the border was quilted in feathers! This was the first time I have made an attic window. I debated about doing mitered corners or doing half-square triangles. A friend said that it would look way better with the mitered corners. I knew she was right. I took my time and each one turned out perfectly! This was on the blog “Confessions of a Fabric Addict” I couldn’t help but laugh! Could it be fat quarters or a pattern or lace? Or a quilt kit, I said with a smile on my face. And that’s when I heard him, “Hi, Santa,” I said. “I know I should, Santa, and now I’ve got caught. He shook his head quickly and left with a jerk. I have been travelling in Ontario for the last week and haven’t been able to post anything on the blog. But, I’m home now and able to spend a bit of time catching up. And hopefully get a bit of sewing done! I did have an awesome time in Ontario, visiting family … it was really great! Here are the projects that I was working on before I left and hope to continue to work on soon! is being quilted … with 120 white blocks and each block having a different motif, it’s taking a while to get this done. And, since I was away, I haven’t started on Clue #4 … maybe soon! To see what others have done for the En Provence Mystery, go to this Quiltville post. I have 12 quilts finished. # 13 is currently being quilted, but I’m not sure it’ll be finished before I go away for a week. Yesterday was a beautiful sunny day and I took the opportunity to freeze my hands and get pictures of 12 of the quilts. I know I’ve shown a few of the quilts on the blog, but not all of them. These 2 pictures show all 12 in order from #1 on the left to #12 on the right. This is a picture of #11 & #12. #11 is made with 2½” squares and #12 is made with 2″ squares. Size does make a difference! Quilt #13 is the same pattern as #12, but with less variety of fabrics because I’ve used up a lot of the fabrics. Currently, I’m working on 3 things at once. Second: The Bonnie Hunter Mystery (En Provence): Step 1 in about 2/3 done and Step 2 is about 2/3 cut out, with none sewn. I’ve been asked what colours I’m using. I will be using dark and light blues in place of Bonnie’s purples and the dark red shown in the picture below. My neutrals are neutrals and I will probably choose a darker green than Bonnie’s yellowy green. Nothing finished, but I did start 2 new projects … oh why oh why do I do this???? … I guess I like the idea of a mystery (thanks to Bonnie Hunter) and I like creating and Christmas is coming. The mystery quilt … I have quite a few neutral 4 patches done (mostly as leaders & enders), a bunch more to sew together. The next clue is today … and I’ll be pulling fabric for it. I’m going to a “quilt ’til you wilt” tonight & hope to get some sewing done … along with visiting and laughing and eating pizza!